I decided to write an open source implementation of Ace Combat: Assault Horizon‘s render and flight model. So far, my goal is to write an open platform for further gameplay experiments. 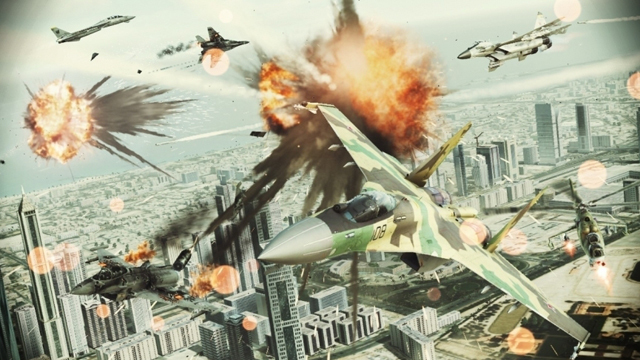 I love Ace Combat series and want to be able to play it in the way I want. And I want to see the guts: solving mystery of how does it work will be my special pleasure in this project. I’m using PC version’s resources in development. After this phase, prospects of the project will be much clearer. Advanced renderer, attempt to recreate original AH’s eye-candy graphics. As long as I will not provide original AH resources in my releases and will not use disassembly to get original algorithms, I hope it will not violate original game creator’s license. Effectively storing arrays in Solidity. RPGs and Tactics 2018. Part I: Already released.